The Wicked Deep has a vibe to it. It's misty and gloomy and mysterious. It takes place in an isolated harbour town and on a lighthouse island. Of course it's going to have that spooky vibe to it, but I'm so so into it. If you don't know, I'm really into the ocean and so the aquatic, spooky vibe is something I love. The magic in The Wicked Deep is subtle and quiet. This book has a vibe to it that I adore with the mysteries and the whisper of magic that entwines the isolated harbour town of Sparrow. The novel tells the story of Sparrow and Penny Talbot as Swan season arrives. Every summer, the sea begins to sing and the ghosts of the three Swan sisters inhabit several girls in the town and summarily drown boys who are so unfortunate as to have met the Swan sisters. Swan season has occurred for 200 years, since the execution of the sisters for witchcraft and the drownings are their retribution. Penny, a local, meets Bo, an outsider who has come to Swallow, unaware of the impending danger. They are both hiding secrets and eventually, Penny has to make a choice -- save herself or save Bo. This entire novel is told in the point of view of Penny, who we learn is grieving her missing father and lives on Lumière Island with her mother who's fallen apart from the grief. However, interspersing the chapters are vignettes that detail the history of the Swan sisters, the various themes that are important, that give further insight into the story that's unfolding. I really, truly love this. The vignettes are probably the part that are most "vibey" to me and are filled with the quiet magic. The entire thematic feel of the "spooky ocean vibes" is so me, because I love the ocean and it's mysteries even though I'm not a fan of the beach (lol). There is supposed to be a "big reveal" sort of thing that happened, but I sort of saw it coming from a mile away. It wasn't all that surprising to me, but nonetheless, I enjoyed the direction that the reveal led the story to. 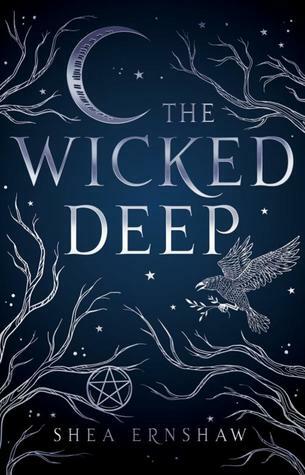 The Wicked Deep is a lowkey magical, watery book and a quick standalone read. It takes place around the time of the summer solstice, but I feel it would be a great halloween read or a read for the period of time that lies on the cusp of summer and fall.